Our favorite celebrations, and some of the most challenging to plan, are beautifully hosted home parties. 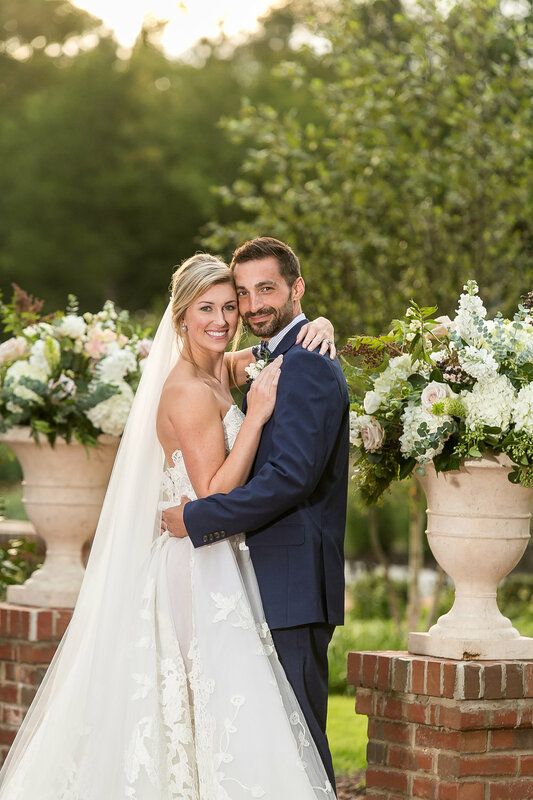 Thanks to the help of so many of our favorite vendors, we had the opportunity to design and style our dream Southern Summer at Home Shoot, featured in Southern Bride & Groom Magazine and recently on SB&G Blog. Hope you enjoy all the pretty! Invitations can be inspired by favorite paintings in a family home, especially with botanicals. Pair classic scripts and fonts with modern elements and gold foil for a beautiful statement. 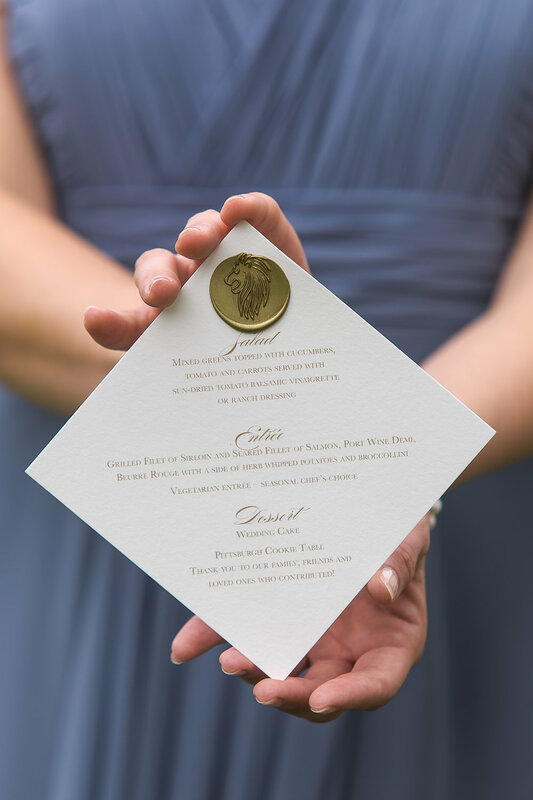 Wax seals can not only brand your event, but also be used as a household crest for years to come. When the bride's gown matches the setting, it makes our hearts sing. This gorgeous gown had trailing lace flowers which felt like they belonged right here in the garden. 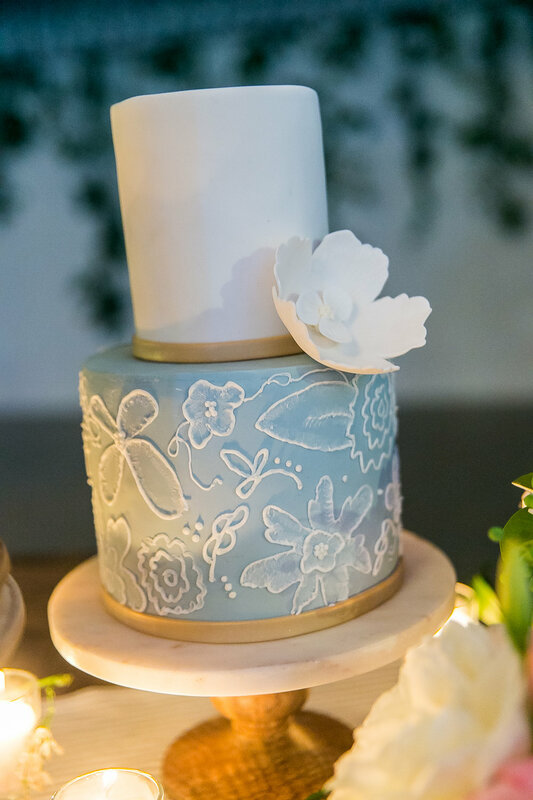 We love the way dusty blues evoke a sense of calm, from deep sea navy to hazy Carolina blue. 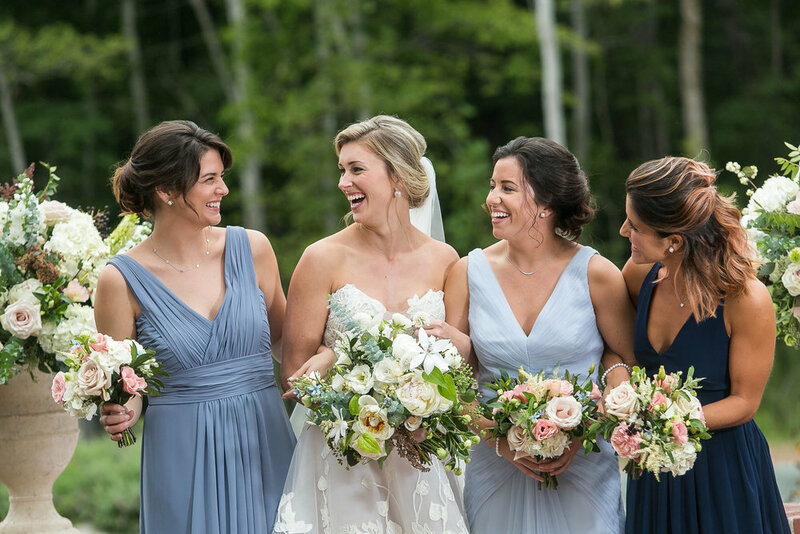 Choosing multiple tones for bridesmaids can help accommodate different skin tones and hair colors so everyone looks their best. 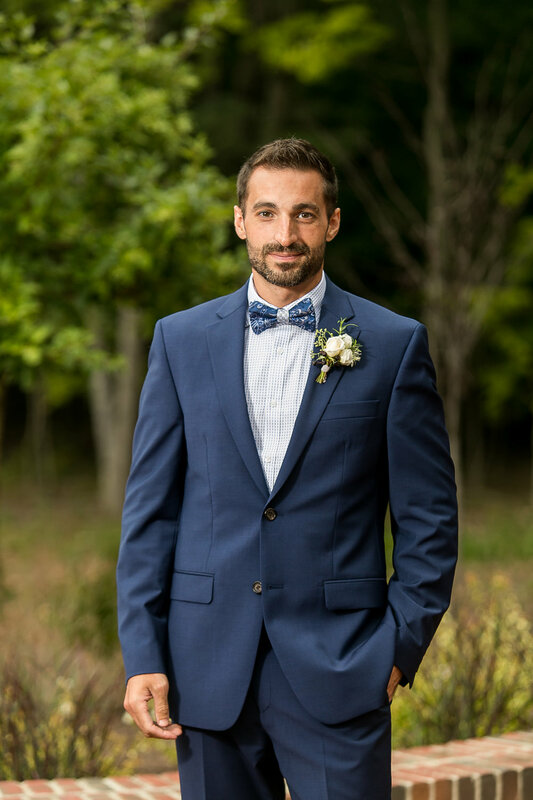 We love a southern gentleman in a bowtie. Thinking outside of a white shirt for menswear can bring handsome, unexpected results - we love pattern play. When getting married at home, use what you have. Adding flowers and vines to a beautiful barn door, as if they've always been growing there. Guests welcome summer shade, and we can't get enough of market umbrellas as a stylish way to make it happen. 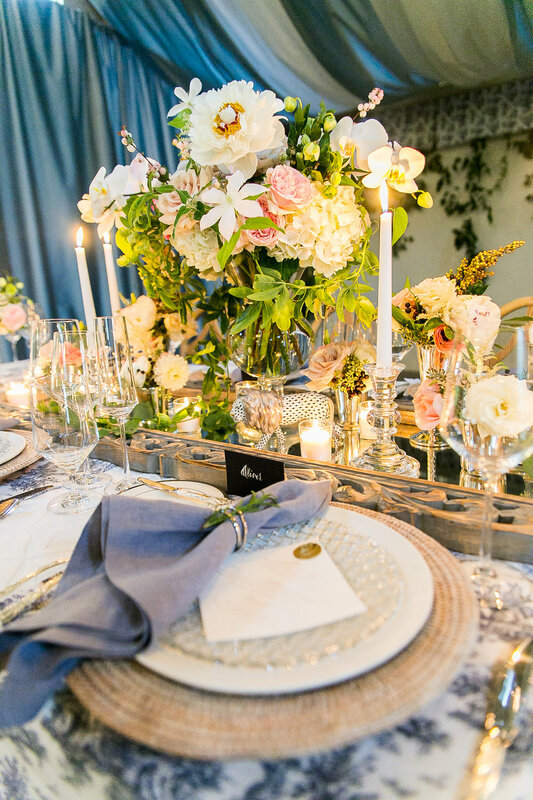 We love to incorporate items you might find on a gracious bar cart, like silver trays, as a part of the decor. Our designs almost always include a lounge. We're not only inspired by southern interior design, but embrace it to make a place where every guest can feel comfortable throughout the evening. Cane back furniture is one of our favorite southern summer looks. Inspired by mid-century striped cabana tents, we draped the barn to soften the space. Draping is an elegant way to transform a room. 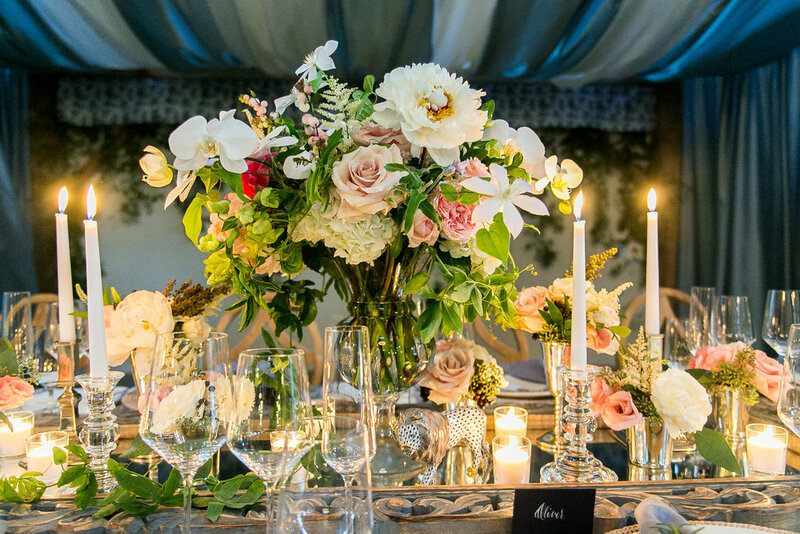 Fabrics you would find in southern interiors, like toile and oxford stripes, make for a gracious at-home look on wedding tables. For the summer season, we love place settings to feel gracious, but not too stuffy. Quality linen napkins are a perfect way to accomplish this feeling. 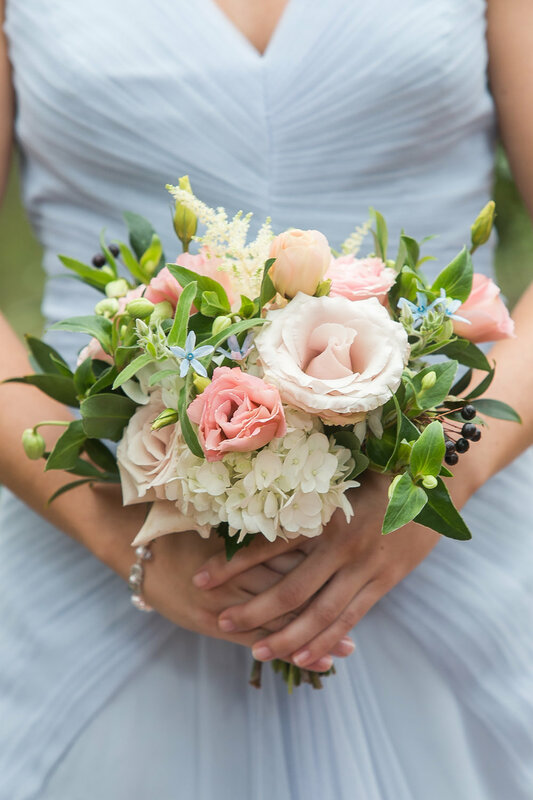 We wanted the bouquet to feel refined, but also as if elements could have come out of the bride's grandmother's garden. Blooms like clematis are perfect for this look. 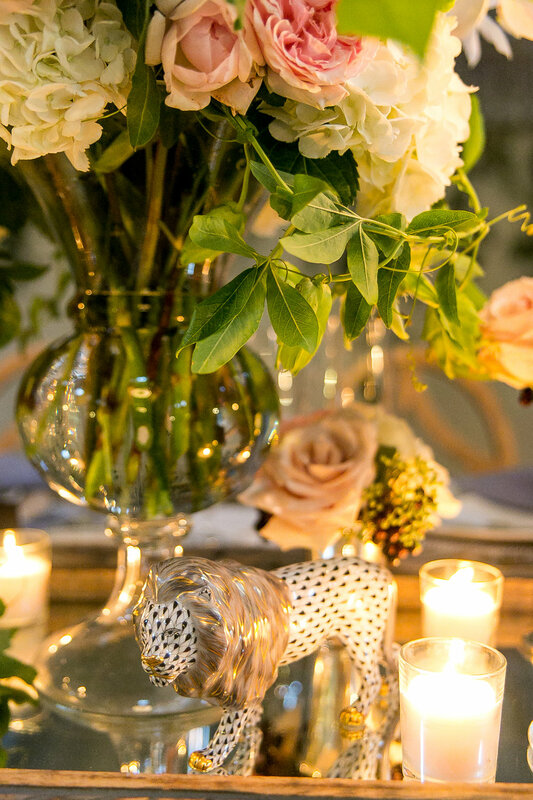 Using silver containers and mixing in heirloom pieces can ground the centerpieces with a sense of time and place. When meeting with clients at their home, we often encounter heirloom pieces that have a story. Incorporating these into the wedding make for wonderful conversation pieces. We could not adore Herend animal figurines more!